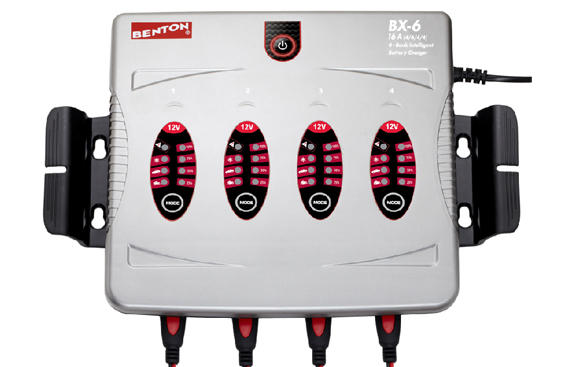 BENTON BX-6 is a smart, 5-step fully automatic switch mode multi-station battery charger and maintainer, designed for charging simultaneously and independently up to 4 12Volt lead-acid rechargeable batteries, widely used in motorcycles, cars, boats, ATVs, boats, trucks, Jet Skis and Snowmobiles, communication equipment, information technology equipment, medical equipment, scientific equipment etc. The batteries may be of various types i.e. WET/Flooded, GEL, AGM batteries capacity from 12V/1.2 Ah to 12V/120 Ah. The BX-6 also charges batteries in cold conditions, recovers slightly sulfated batteries and rescues drained battery. It provides trickle charge and maintenance charging which increase battery life and gives superb performance. 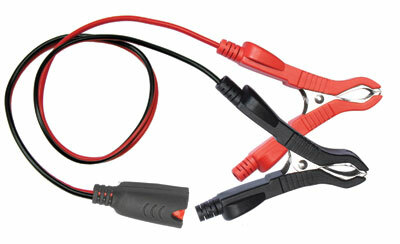 The 69448 Deluxe Clamps Connector works with BENTON battery chargers and allows the battery chargers to connect quickly between different batteries	.. 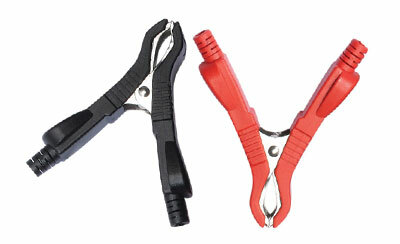 The 6931 Deluxe Clamps Set for use with multiple batteries and quick contact battery leads with clamps. ..